Let us be merciful to ourselves by being merciful to others, gain compassion by showing compassion, and do good that good may be done to us. For we receive the like in return: good works, benevolence, love, mercy, and compassion, but not merely to the same value and measure of excellence. You give out of what you possess as a man, and only as much as a man can bestow. But you receive in return a hundredfold from the inexhaustible divine treasures, together with eternal life, and benefit from as many great bounties as God can bestow, which “eye hath not seen, nor ear heard, neither have entered into the heart of man” (1 Cor. 2:9). 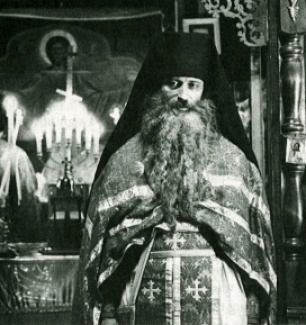 You might indeed find many remedies for evil in Scripture, many medicines to save from destruction and lead to health; the mysteries of death and resurrection, the sentences of terrible judgment and everlasting punishment; the doctrines of repentance and of remission of sins; all the countless illustrations of conversion, the piece of money, the sheep, the son who wasted his substance with harlots, who was lost and was found, who was dead and alive again. Let us not use these remedies for ill; by these means let us heal our soul. Bethink you of your last day, for you will surely not…live for ever. The distress, the gasping for breath, the hour of death, the imminent sentence of God, the Angels hastening on their way, the soul fearfully dismayed, and lashed to agony by the consciousness of sin, turning itself piteously to things of this life and to the inevitable necessity of that long life to be lived elsewhere. Picture to me, as it rises in your imagination, the conclusion of all human life, when the Son of God shall come in His glory with His Angels, For He shall come and shall not keep silence; when He shall come to judge the quick and dead, to render to every one according to his work; when that terrible trumpet with its mighty voice shall wake those that have slept through the ages, and they that have done good shall come forth unto the resurrection of life, and they that have done evil unto the resurrection of damnation. Remember the vision of Daniel, and how he brings the judgment before us: I beheld till the thrones were cast down, and the Ancient of Days did sit, Whose garment was white as snow, and the hair of His head like the pure wool;…and His wheels as burning fire. A fiery stream issued and came forth before Him; thousand thousands ministered unto Him, and ten thousand times ten thousand stood before Him: the judgment was set, and the books were opened, (Daniel 7:9-10) clearly disclosing in the hearing of all, Angels and Men, things good and evil, things done openly and in secret, deeds, words, and thoughts all at once. What then must those men be who have lived wicked lives? Where then shall that soul hide which in the sight of all these spectators shall suddenly be revealed in its fullness of shame? With what kind of body shall it sustain those endless and unbearable pangs in the place of fire unquenched, and of the worm that perishes and never dies, and of depth of Hades, dark and horrible; bitter wailings, loud lamenting, weeping and gnashing of teeth and anguish without end? From all these woes there is no release after death; no device, no means of coming forth from the chastisement of pain. There is a domain in human life where a limit is set even to love — where even love is not supreme. This domain is freedom. Man’s freedom is positive, real. It concedes no determinism in his destiny, so that neither the sacrifice of Christ Himself nor the sacrifices of all those who have trodden in His footsteps lead necessarily to victory. 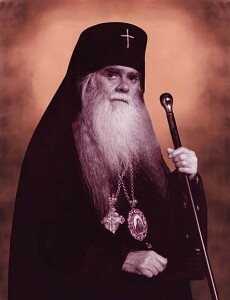 [T]he Orthodox Church is far from the excessive optimism of those who maintain that at the end of time God’s mercy will extend to all of unrighteous humanity and all people, including great sinners, and together with them the devil and his demons will be saved in a lofty form by will of the God Who is good. 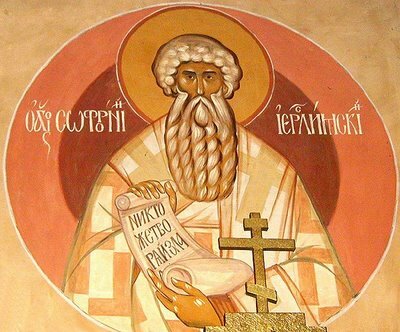 Origen expressed this idea in the third century, Origen whose teaching on apokatastasis (“universal restoration”) was condemned in its entirety by an Ecumenical Council as contrary to the teachings of the Fathers of the Church. 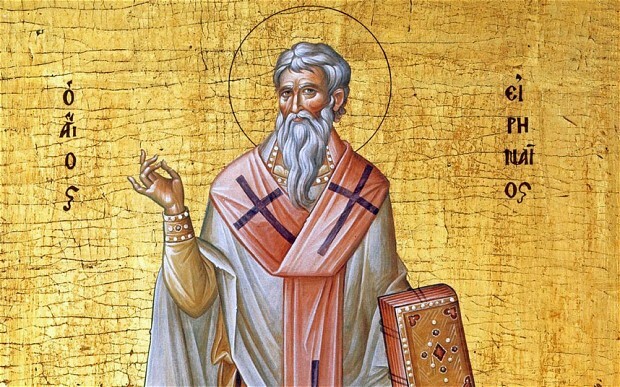 …Origenist apokatastasis radically contradicts the basic fundamentals of Christian morality. Indeed, what moral sense is there throughout the whole drama of human history if good and evil end up being equal in the eyes of divine mercy and just judgment? 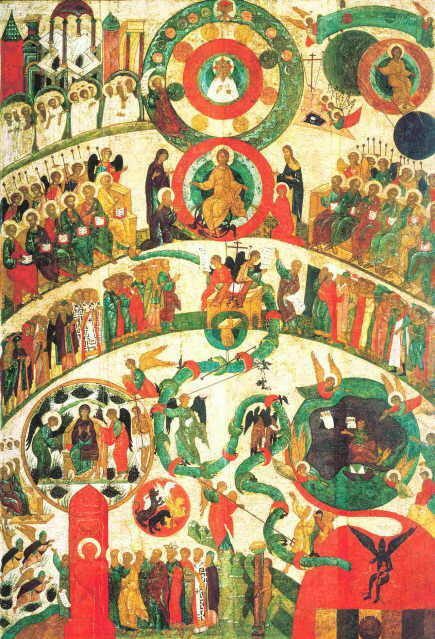 What meaning does the separation of the sheep and the goats at the Last Judgment have, if the good is not the only and absolute criterion by which this division occurs, or if this division bears a temporary character? What meaning is there in suffering, prayer, ascetical efforts, the fulfillment of the Gospel commandments, if the righteous will be sooner or later equal to sinners? 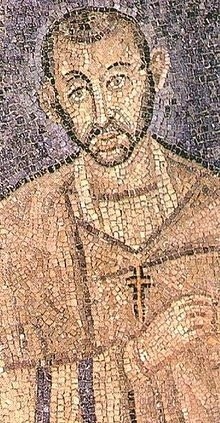 As Emperor Justinian asked, is it fair that “those who led a life full of perfection to the end should be united with the lawless and pederasts, and to acknowledge that both the former and the latter should enjoy equal blessings?” (Letter to the Holy Council on Origen and His Accomplices) The Origenist understanding of apokatastasis does not give an answer even to one of these questions. 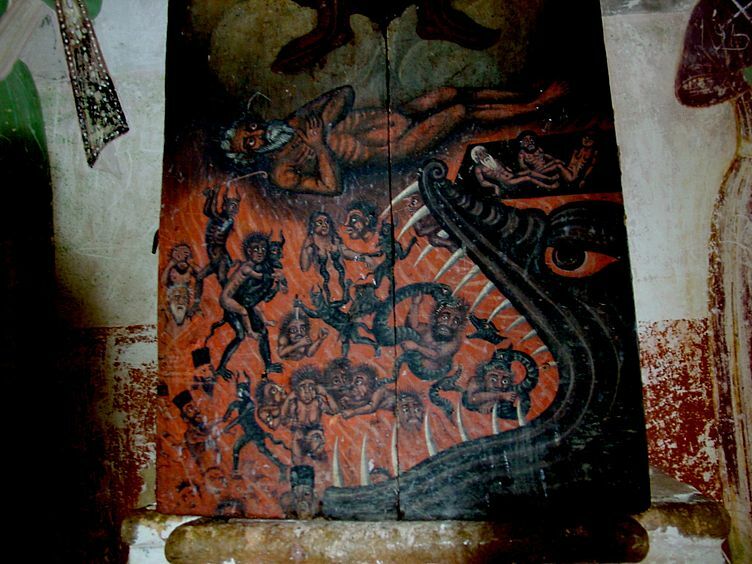 Origen’s supposition on the potential salvation of the devil and his demons is in radical opposition to Church Tradition… the devil and demons’ falling away from God is perceived in Christian Tradition as final and irrevocable. 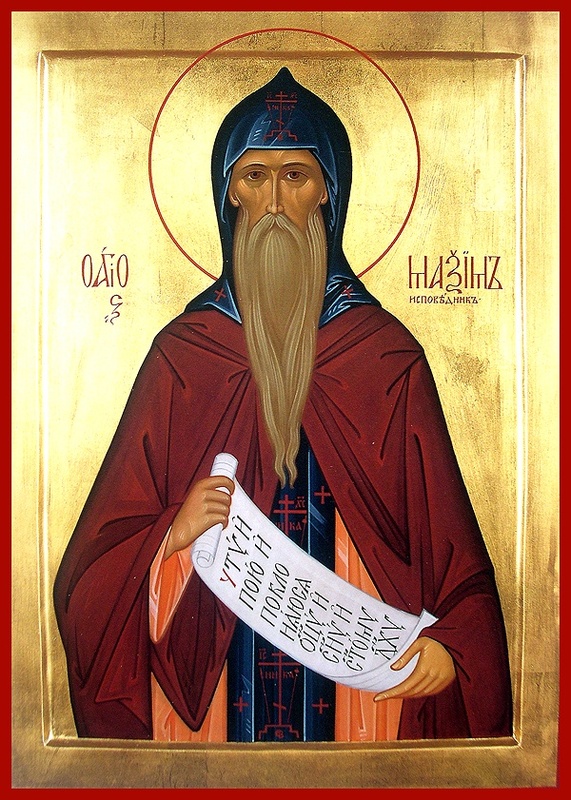 In the words of John of Damascus, repentance is impossible both for angels and for the devil and his demons. It is impossible for the former because they are incorporeal and do not sin, and for the latter because they cannot change and be saved, but the unquenchable fire and eternal torment await them. Origen’s view on the non-eternal nature of the torment… directly contradicts the Gospel, where this torture and perdition of sinners is repeatedly called eternal… It is true that Origen placed much attention on the fact that the adjective “eternal” (aionios) comes from the word “age” (aion) and therefore can indicate a certain length, though not a never-ending stretch, of time: in Origen’s opinion, hellfire is exactly like this — eternal, but not never-ending. The argument is on the two notions of the word “eternity” — on the eternity of God in comparison to which nothing created is eternal, and on eternity as an endless length of time. 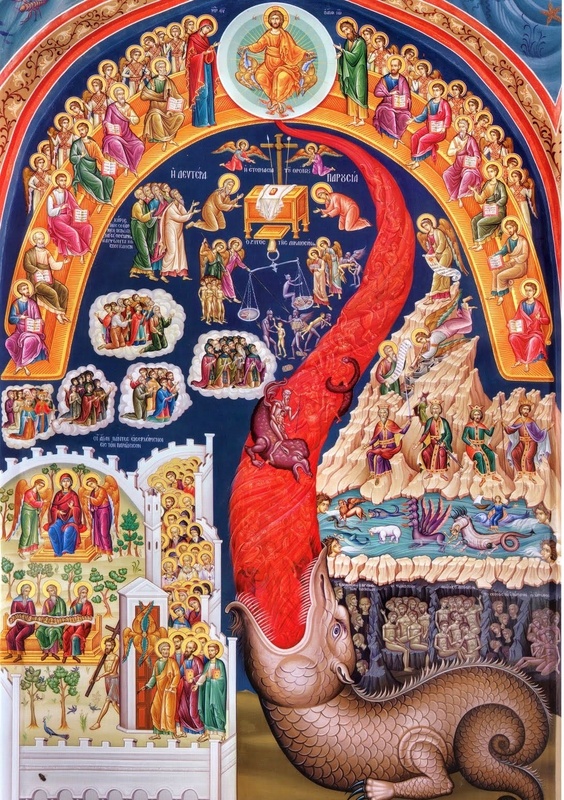 However, such a distinction is absent in the very texts of Holy Scripture that speak of eternal torment and eternal perdition, as well as any kind of allusions to the possibility of a spiritual progression and subsequent salvation of the devil and his demons. We are made up of a soul and body, and both soul and body consist of many members. For the soul too has members after a fashion: those parts of it concerned with growth, desiring, anger and reason. Therefore, true fasting must extend to every part, cleansing and healing them all. Fasting, brethren, gently and and kindly restores the soul to health, and that is why our Fathers imposed it on us during these days. 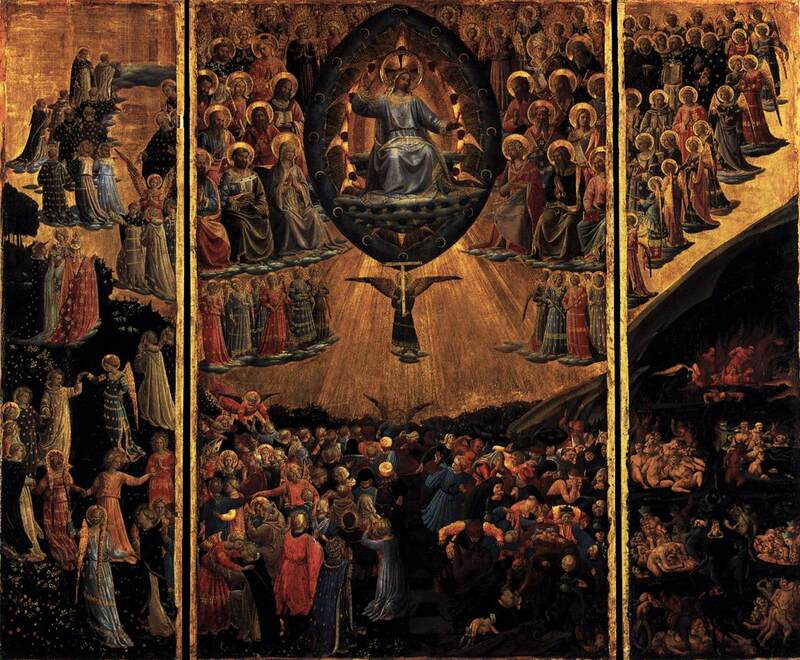 A significant part of the debates at the Council of Ferrara-Florence was dedicated to the question of purgatory and more generally of the forgiveness of sins after death. Both Latins and Greeks agreed that there are Christians who belong to the so-called ‘middle state’ and who, assisted by the suffrages of the Church, will in due course join the group of the saved. But they disagreed as to how these souls will attain to salvation. The Latins emphasized divine justice, punishment, and satisfaction. Divine justice demands that those who have failed to offer full satisfaction for sins forgiven in this life will have to go through fiery punishment in purgatory, until due satisfaction is eventually offered. 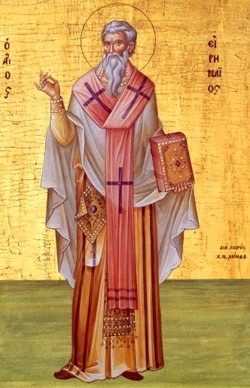 The Greeks, on the other hand, emphasized God’s love and forgiveness. 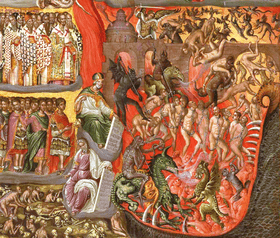 They repudiated the idea of purgatory and of material fire burning (immaterial) souls, and rejected the Latin view that souls are punished for sins already forgiven. They argued that the souls of people who die with unforgiven minor sins will experience spiritual sufferings in the afterlife, which, however, are not divine punishments but self-inflicted consequences of these sins. These souls will eventually be purified and saved thanks to God’s love and forgiveness. As for those who accuse God of calling people who were not going to act in obedience to Him, no doubt they would also have held Him responsible for the destruction of such people, had He not called them. He called them so that no one could say that He was the cause of their being punished. Why was it, then, that He created men who were to be damned? He did not make them to be punished, but to be saved, as is clear from the fact that He called them. If He wanted to damn anyone at all, He would not have called everyone to salvation. If God led me and called me to salvation through His goodness, but I turned out evil, ought my wickedness, before it even existed, to have overcome His eternal goodness and have thwarted it? That would be totally unreasonable. People who assert otherwise and make accusations against the Creator are actually saying that it was wrong to make human beings rational. For reason would be pointless without free choice and the power of self-governance. How can someone have the freedom to choose and the power to act freely, unless he were able to do evil, should he so wish? If he could not be wicked, nor could he, presumably, be good. But what is the fire, making sinners burn? — First of all, it is the same fire, which will enlighten the righteous since the day, “when all deeds, good and evil, will be tried by fire,” as we read in the canon to the Guardian Angel; it is like the Chaldean furnace: “A furnace once in Babylon, by divine decree, divided its action, burning up the Chaldeans but refreshing the faithful”. The fire burns the wood, hay and straw, but cleanses gold and silver. The sinners shall be cast “into a furnace of fire: there shall be wailing and gnashing of teeth. Then shall the righteous shine forth as the sun in the kingdom of their Father” (Math. 13:42-43). 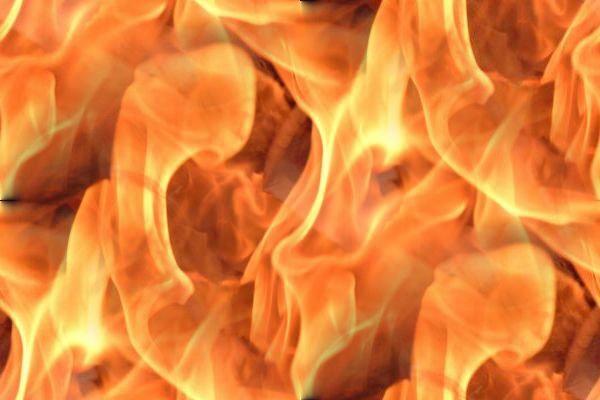 Similarly Apostle Paul tells about one and the same fire — the Divine touch — that influences different souls in a different way. “Every man’s work shall be made manifest: for the day shall declare it, because it shall be revealed by fire; and the fire shall try every man’s work of what sort it is. If any man’s work abide which he hath built thereupon, he shall receive a reward. If any man’s work shall be burned, he shall suffer loss: but he himself shall be saved; yet so as by fire” (1 Cor. 3:13-15). In this sense the Lord is called as consuming fire in the Old and New Testaments. Isaiah calls Him eternal fire, eternal flame, which burns the sinners. “The sinners in Zion are afraid; fearfulness hath surprised the hypocrites. Who among us shall dwell with the devouring fire? Who among us shall dwell with everlasting burnings? He that walketh righteously, and speaketh uprightly; he that despiseth the gain of oppressions”, and further (33:14-15). 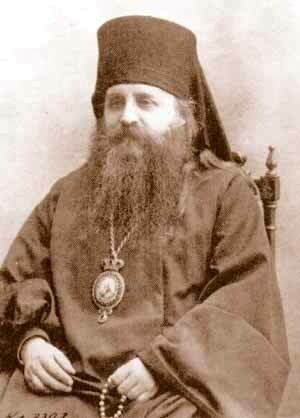 Do not you want to say that the lot of the righteous and sinful will be the same if to look at them from aside: it is the state of constant vision of God and the impossibility to hide from Him, — but for one it will be the source of pleasure, and for others — of tortures, forthcoming from their hatred and powerless rage? — Or do you want to say that the eternal fire is nothing but the Divine presence, which is so hard to bear for his enemies? I did not mean “nothing but” but what was meant is “in the first place”. 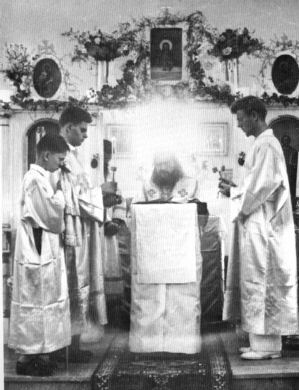 To say “nothing but” will be possible only in the case, when someone compares the eternal fire with material fire from the church legend (and the church legend is as well holy for us, as the words of the holy Bible), and only if it is possible to bring this idea together with that indisputable truth about the resurrection of the body, so precious for most ancient Christians and so obviously revealed to us through the Word of God. 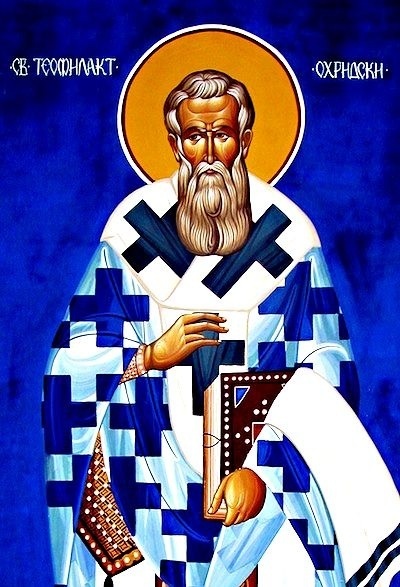 Since in the [the text of] St. Diadochus, in the 100th chapter, it has been written, “Some will be judged through fires and purified in the future age,” I ask [that] the father’s aim be revealed to me by clarification. What is this heaven? Where is it? Is it “up”? …It so happens that the question of the “location” of heaven (and hell) is one that has been very widely misunderstood in modern times. It was only a few years ago that the Soviet dictator Krushchev was laughing at religious people who still believed in heaven — he had sent cosmonauts into space and they had not seen it! No thinking Christian, of course, believes in the atheist caricature of a heaven “in the sky”, although there are some naive Protestants who would place heaven in a distant galaxy or constellation; the whole visible creation is fallen and corrupt, and there is no place in it anywhere for the invisible heaven of God, which is a spiritual and not a material reality. But many Christians, in order to escape the mockery of unbelievers and avoid even the slightest taint of any materialistic conception, have gone to the opposite extreme and declare that heaven is ‘nowhere’. 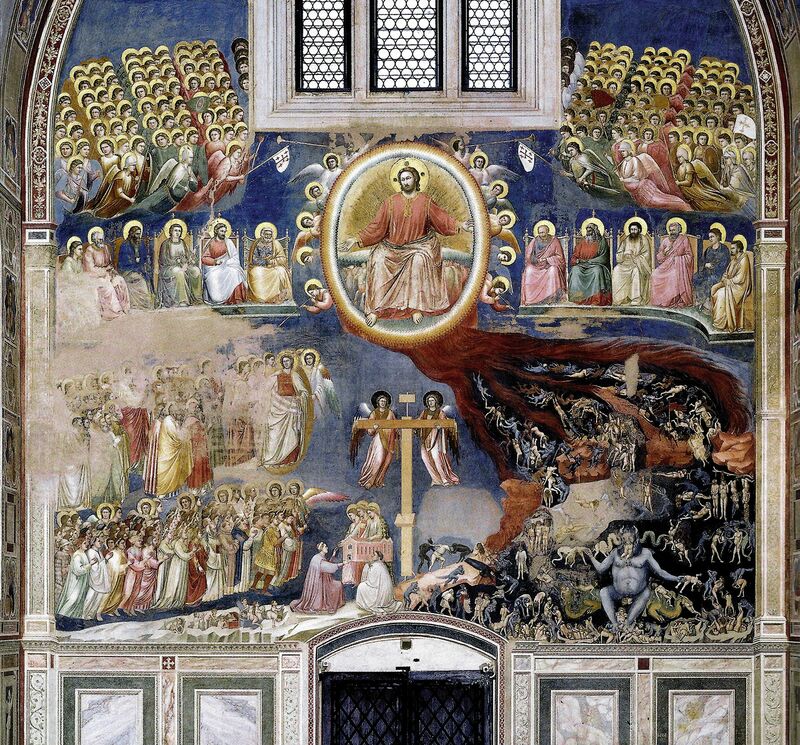 Among Roman Catholics and Protestants there are sophisticated analogies which proclaim that heaven is ‘a state, not a place’, that ‘up’ is only a metaphor, the Ascension of Christ (Lk. 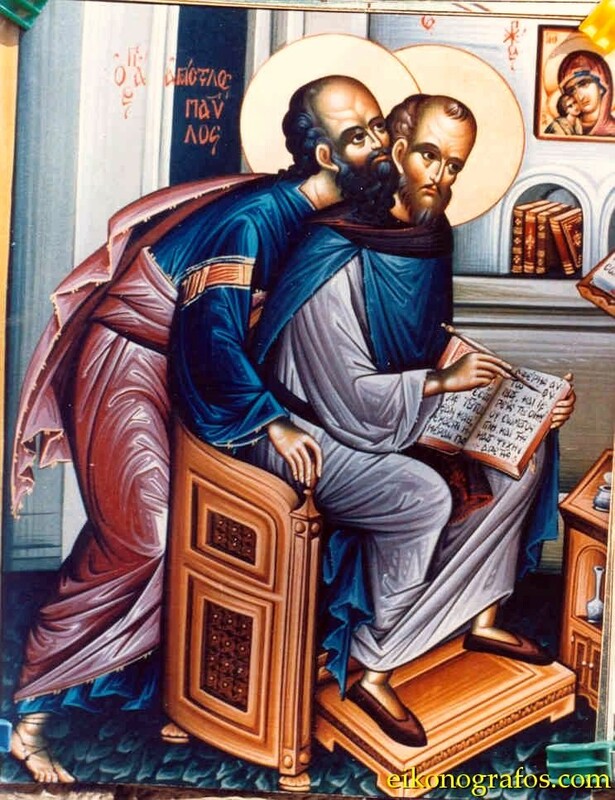 24:50-51, Acts 1:9-11) was not really an “ascension”, but only a change of state. The result of such apologies is that heaven and hell become very vague and indefinite conceptions, and the sense of their reality begins to disappear – with disastrous results for Christian life, because these are the very realities toward which our whole earthly life is directed. 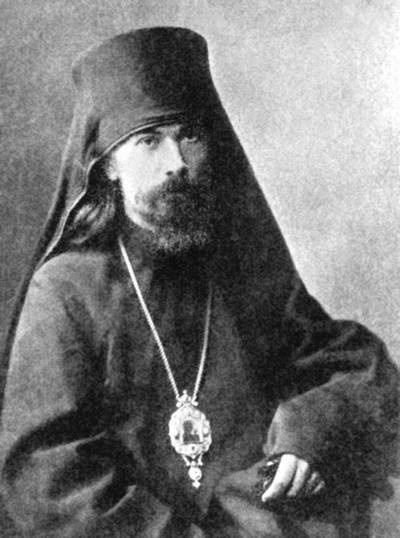 All such apologies, according to the teaching of Bishop Ignatius Brianchaninov, are based on the false idea of the modern philosopher Descartes that everything that is not material is “pure spirit”and is not limited by time and space. 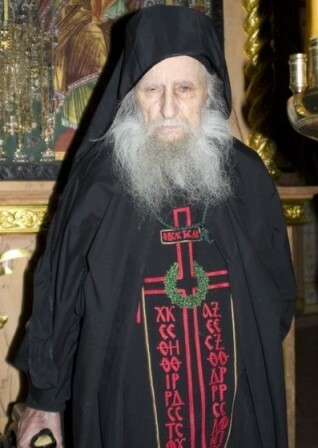 This is not the teaching of the Orthodox Church. Bishop Ignatius writes: ‘The fantasy of Descartes concerning the independence of spirits in space and time is a decisive absurdity. Everything that is limited is necessarily dependent on space’ (vol. III, p. 312). 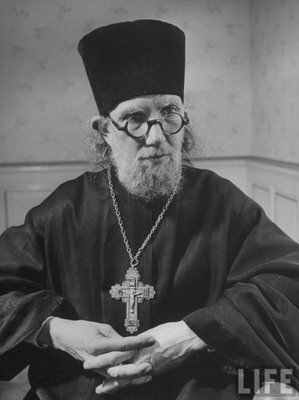 ‘The numerous quotations from the Divine service books and the works of the Fathers of the Orthodox Church decided with complete satisfaction the question as to where paradise and hell are located… With what clarity the teaching of the Orthodox Eastern Church indicates that the location of paradise is in the heavens and the location of hell is in the bowels of the earth’ (vol. III, pp. 308-9; the emphasis is his). Here we shall only indicate just how this teaching is to be interpreted. 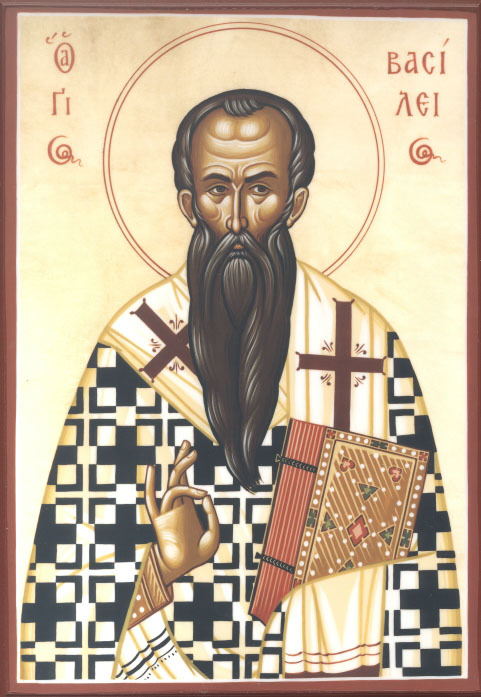 It is certainly true, as Bishop Ignatius’ numerous citations indicate, that all Orthodox sources – the Holy Scripture, Divine services, Lives of Saints, writings of Holy Fathers – speak of paradise and heaven as ‘up’ and hell as ‘down’, under the earth. And it is also true that since angels and souls are limited in space…, they must always be in one definite place – whether heaven, hell, or earth. 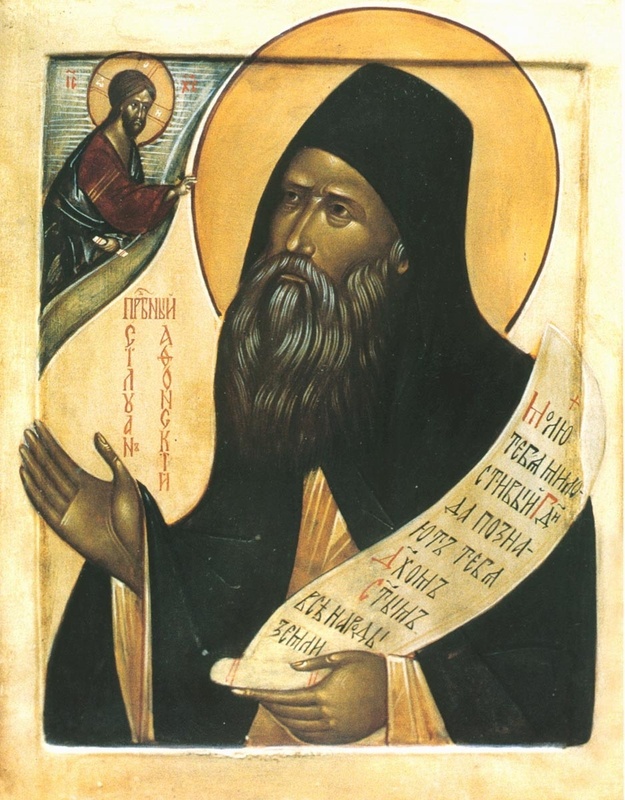 We have already quoted the teaching of St. John Damascene that “when the angels are in heaven they are not on earth, and when they are sent to earth by God they do not remain in heaven” (Exact Exposition of the Orthodox Faith, II.3, p. 206), which is only the same doctrine taught earlier by St. 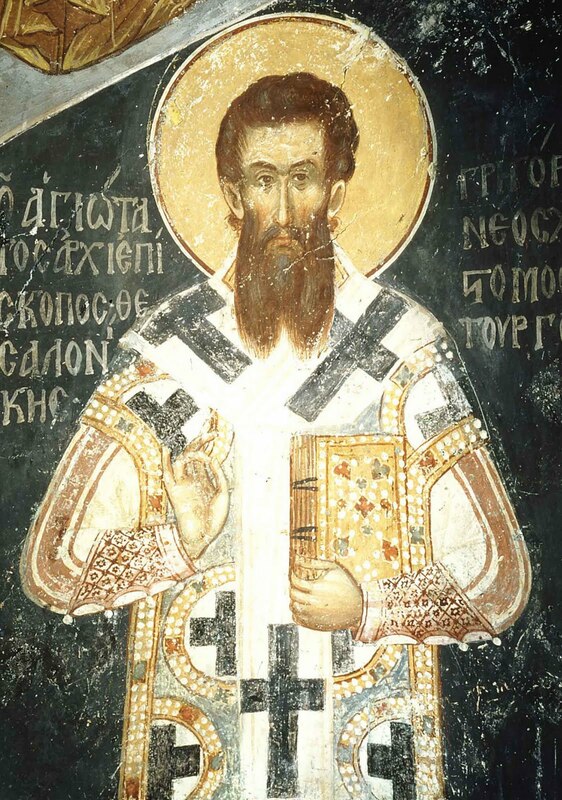 Basil the Great (On the Holy Spirit, ch. 23), St. Gregory Dialogist (Morals on the Book of Job, Bk. 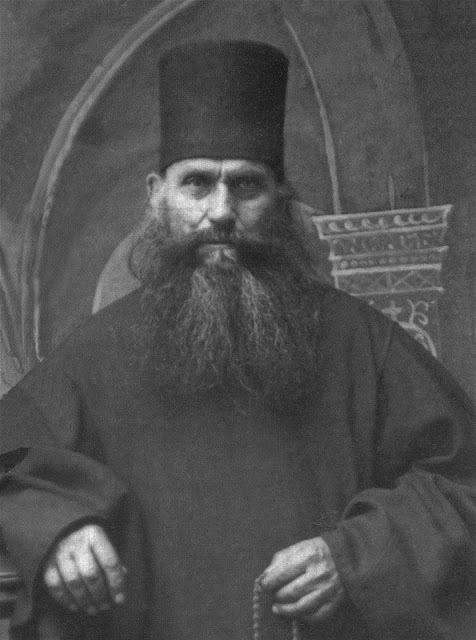 II,3), and indeed all the Orthodox Fathers. Will There be a Terrible Judgment? In our time we have become witnesses of a completely new teaching, so far unheard-of in our Church, to the effect that the Second Coming of Christ and the Terrible Judgment must be understood somehow in an ‘allegorical’ way, and not literally, and that the Terrible Judgment will in essence be not at all terrible. 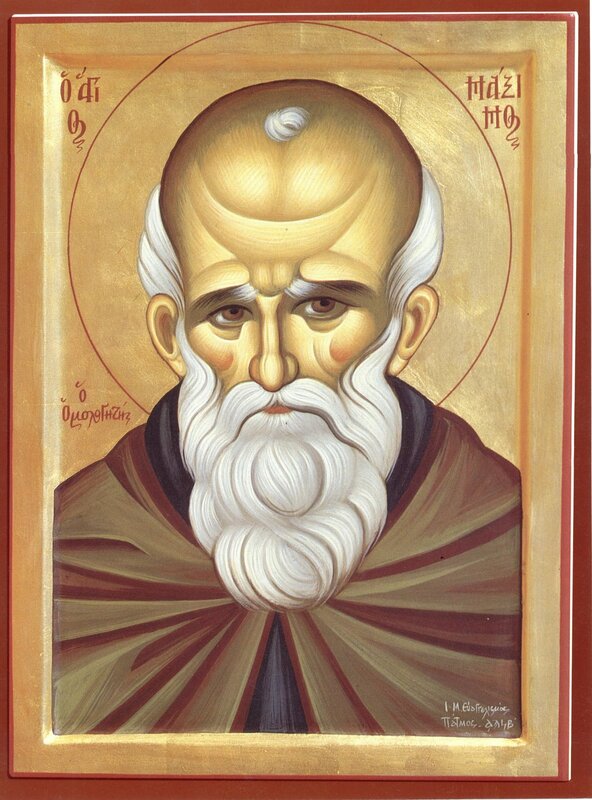 In propagandizing this ‘teaching’, they affirm with great aplomb and authority that everything we expounded above ‘has been thought up by dark fanatical monks’, and that contemporary ‘enlightened Christians’ cannot and must not believe in it all. 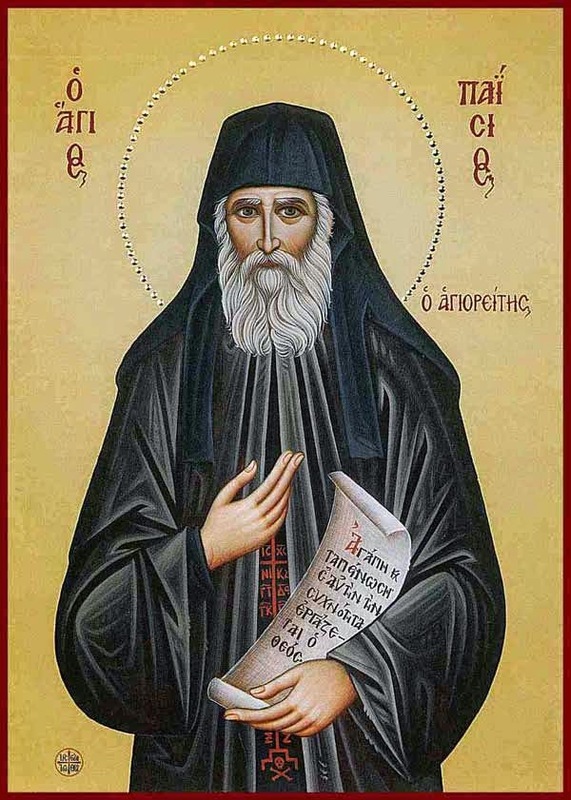 (But how, we may ask, can we not believe in that which has been clearly and definitively said in the Sacred Scriptures, or by the great Fathers of the Church or the glorious, Spirit-bearing ascetics who have been glorified by the Holy Church?) For Christ Himself, they say, said that He came not to judge the world, but to save it (and then references are made to John 12.47, Matthew 18.11 and Luke 9.56). Already a long time ago we were warned that the cunning of Satan and his servants, especially in the last times, will be manifest also in the fact that, in order to destroy people, they will also begin skillfully to use even the texts of the Sacred Scriptures, interpreting them in a distorted manner. (After all, on such distorted interpretations are based all the numerous contemporary sects.) And it is like that in the given case: Christ truly came to earth the first time in order to save the world, but the second time He will come no longer to save, but to judge the world. Moreover, the measure of this Judgment, as He Himself said, will be the word uttered by Him: The word that I have spoken will judge him on the last day (John 12.48), that is: he who does not observe the teaching brought by Christ the Savior to the earth will be subjected to condemnation at the Terrible Judgment. To whom could this not be clear? Only to a mind that is ill-intentioned! But how can one distort that which is said so clearly in the Sacred Scriptures? Behold, He is coming with clouds, and every eye shall see Him, even they who pierced Him. And all the tribes of the earth shall mourn because of Him. Even so, Amen.’ (Revelation 1.7; cf. Acts 1.11). Behold, I am coming quickly, and My reward is with Me, to give to every one according to his works (Revelation 22.12), says the Lord Himself. What could be clearer or more comprehensible than these words? And so there will undoubtedly be the Terrible Judgment, and there will be the reward of each according to his works, and there will be hell and the everlasting torments for the impenitent sinners. 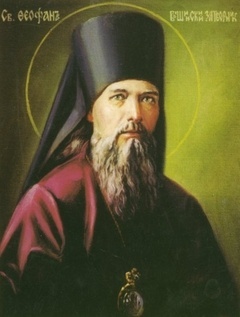 This will be demanded by the Highest Divine Justice, which is so clearly felt and whose inexorable necessity is recognized by every human heart that is uncorrupted, not poisoned by lying pseudo-wisdom…(“Budet li Strashnij Sud?” [Will there be a Terrible Judgment? ], in Russian). 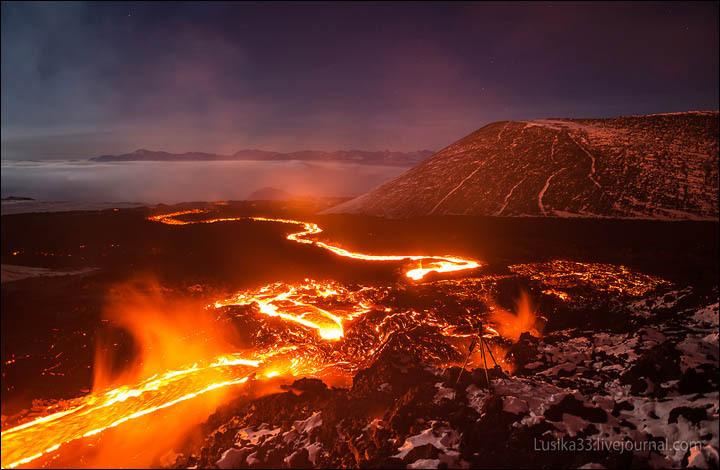 Are Paradise and Hell Places or States? Blessed is the way wherein you proceed today, for there is prepared for you a place of rest. “Space” in the spiritual world, where the souls go and abide after death, is not the same as space in the physical world, where material bodies exist and move about: it is different from this. Likewise, “time” in the spiritual world is of a different nature than time in the material world, the time that is measured by watches. Mal 4:1-2 For behold, the day is coming, burning like an oven, when all the arrogant and all evildoers will be stubble. The day that is coming shall set them ablaze, says the LORD of hosts, so that it will leave them neither root nor branch. But for you who fear my name, the sun of righteousness shall rise with healing in its wings. You shall go out leaping like calves from the stall. Mar 9:49 For everyone will be salted with fire. 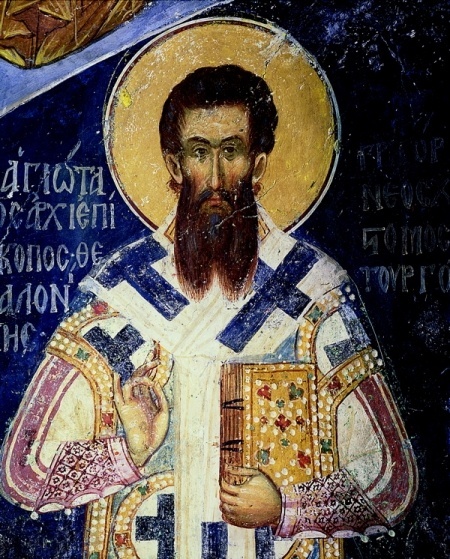 Let us take the passage from the first epistle of the Blessed Paul to the Corinthians, in which he, speaking of building on the foundation, which is Christ, of gold, silver, costly stones, wood, hay, stubble, adds: For that day shall declare it, because it is revealed with fire; and the fire it self shall prove each man’s work of what sort it is. If any man’s work shall abide which he built thereon, he shall receive a reward. If any man’s work shall be burned, he shall suffer loss: but he himself shall be saved, yet so as through fire (1 Cor. 3:11-15). This citation, it would seem, more than any other introduces the idea of purgatorial fire; but in actual fact it more than any other refutes it. 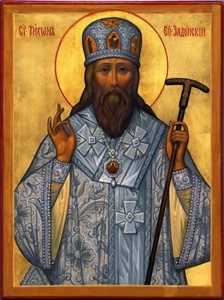 First of all, the Divine Apostle called it not a purgatorial, but a proving (fire); then he declared that through it good and honorable works also must pass, and such, it is clear, have no need of any cleansing; then he says that those who bring evil works, after these works burn, suffer loss, whereas those who being cleansed not only suffer no loss, but acquire even more; then he says that this must be on “that day”, namely, the day of Judgment and of the future age, whereas to suppose the existence of a purgatorial fire after that the fearful Coming of the Judge and the final sentence — is this not a total absurdity? For the Scripture does not transmit to us anything of the sort, but He Himself Who will judge us says: And these will go away into eternal punishment, but the righteous into eternal life (Matt. 25:46); and again: They shall come forth: those who have done good to the resurrection of life, and those who have done evil to the resurrection of judgment (Jn. 5:29). Therefore, there remains no kind of intermediate place; but after He divided all those under judgment into two parts, placing some on the right and others on the left, and calling the first “sheep” and the second “goats” — He did not at all declare that there are any who are to be cleansed by that fire. 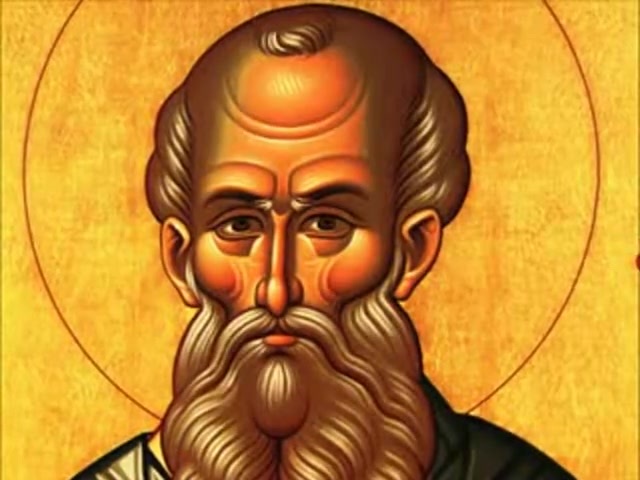 It would seem that the fire of which the Apostle speaks is the same as that of which the Prophet David speaks: Fire shall blaze before Him, and round about Him shall there be a mighty tempest (Ps. 49:4); and again: Fire shall go before Him, and shall burn up His enemies round about (Ps. 96:3). 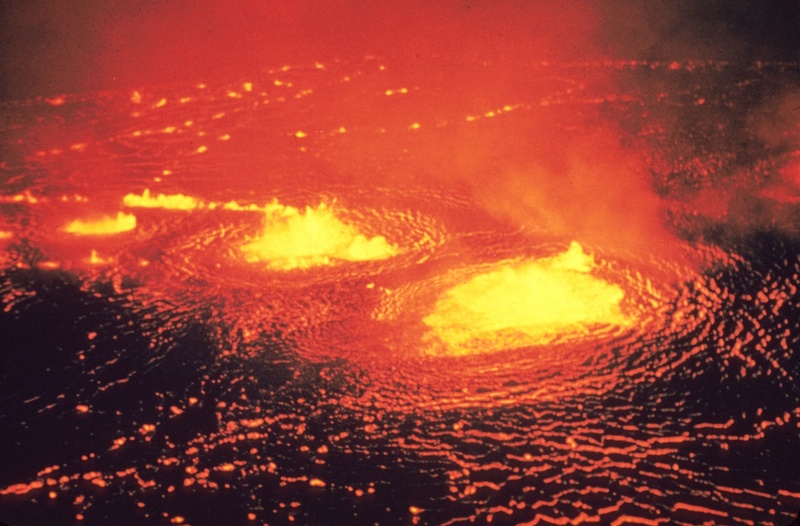 Daniel the Prophet also speakes about this fire: A stream of fire issued and came forth from before Him (Dan. 7:10). Mat 12:31-32 Therefore I say to you: Every sin and blasphemy shall be forgiven men, but the blasphemy of the Spirit shall not be forgiven. And whosoever shall speak a word against the Son of man, it shall be forgiven him: but he that shall speak against the Holy Ghost, it shall not be forgiven him neither in this world, nor in the world to come. And these will go away into eternal punishment, but the righteous into eternal life. Mat 25:46 And these will go away into eternal punishment, but the righteous into eternal life. Rev 20:10 and the devil who had deceived them was thrown into the lake of fire and sulfur where the beast and the false prophet were, and they will be tormented day and night forever and ever. to have pity on him. for him who showed no pity. have cut off all hope by committing such iniquity. 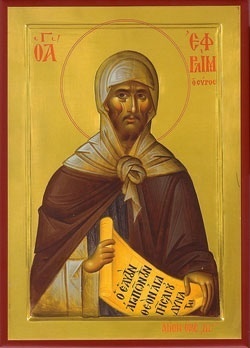 It is in vain, then, that some, indeed very many, make moan over the eternal punishment, and perpetual, unintermitted torments of the lost, and say they do not believe it shall be so; not, indeed, that they directly oppose themselves to Holy Scripture, but, at the suggestion of their own feelings, they soften down everything that seems hard, and give a milder turn to statements which they think are rather designed to terrify than to be received as literally true. For “Hath God” they say, forgotten to be gracious? Has He in anger shut up His tender mercies? Now, they read this in one of the holy psalms. But without doubt we are to understand it as spoken of those who are elsewhere called “vessels of mercy,” because even they are freed from misery not on account of any merit of their own, but solely through the pity of God. Or, if the men we speak of insist that this passage applies to all mankind, there is no reason why they should therefore suppose that there will be an end to the punishment of those of whom it is said, “These shall go away into everlasting punishment;” for this shall end in the same manner and at the same time as the happiness of those of whom it is said, “but the righteous unto life eternal.” But let them suppose, if the thought gives them pleasure, that the pains of the damned are, at certain intervals, in some degree assuaged. For even in this case the wrath of God, that is, their condemnation (for it is this, and not any disturbed feeling in the mind of God that is called His wrath), abides upon them; that is, His wrath, though it still remains, does not shut up His tender mercies; though His tender mercies are exhibited, not in putting an end to their eternal punishment, but in mitigating, or in granting them a respite from, their torments; for the psalm does not say, “to put an end to His anger,” or, “when His anger is passed by,” but “in His anger.” Now, if this anger stood alone, or if it existed in the smallest conceivable degree, yet to be lost out of the kingdom of God, to be an exile from the city of God, to be alienated from the life of God, to have no share in that great goodness which God has laid up for them that fear Him, and has wrought out for them that trust in Him, would be a punishment so great, that, supposing it to be eternal, no torments that we know of, continued through as many ages as man’s imagination can conceive, could be compared with it. GREGORY. Certain it is, and without all doubt most true, that as the good shall have no end of their joys, so the wicked never any release of their torments: for our Saviour himself saith: The wicked shall go into everlasting punishment, and the just into everlasting life. Seeing, then, true it is, that which He hath promised to His friends: out of all question false it cannot be, that which He hath threatened to His enemies. PETER. Willing I am to know how that sin can justly be punished without end, which had an end when it was committed. GREGORY. Almighty God, because He is merciful and full of pity, taketh no pleasure in the torments of wretched men: but because He is also just, therefore doth He never give over to punish the wicked. All which being condemned to perpetual pains, punished they are for their own wickedness: and yet shall they always there burn in fire for some end, and that is, that all those which be just and God’s servants may in God behold the joys which they possess, and in them see the torments which they have escaped: to the end that they may thereby always acknowledge themselves grateful to God for His grace, in that they perceive through His divine assistance, what sins they have overcome, which they behold in others to be punished everlastingly. PETER. And how, I pray you, can they be holy and saints, if they pray not for their enemies, whom they see to lie in such torments? when it is said to them: Pray for your enemies. GREGORY. 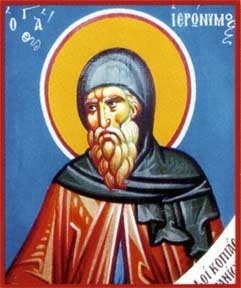 They pray for their enemies at such time as their hearts may be turned to fruitful penance, and so be saved: for what purpose else do we pray for our enemies, but, as the Apostle saith, that God may give them repentance to know the truth, and recover themselves from the devil, of whom they are held captive at his will? Rev 14:11 And the smoke of their torment goes up forever and ever, and they have no rest, day or night, these worshipers of the beast and its image, and whoever receives the mark of its name. Rev. 19:21 And the rest were slain by the sword of Him Who sits upon the horse, the sword which cornes from his mouth, and ail the birds were gorged with their flesh. All wickedness, then, and all impure passions are the work of their mind. But while the liberty to attack man has been granted to them, they have not the strength to over-master any one: for we have it in our power to receive or not to receive the attack. Wherefore there has been prepared for the devil and his demons, and those who follow him, fire unquenchable and everlasting punishment Matthew 25:41 . 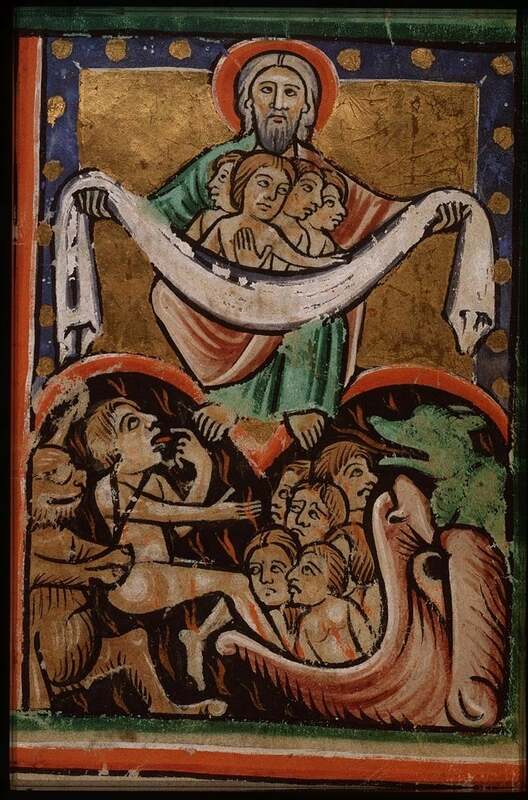 The Prophet Daniel, speaking of the Dread Judgment, relates how the Ancient of Days, the judge, is on His throne, and before Him is a river of fire. Fire is a purifying element. Fire scorches sin, it burns it up, and woe also burns it up; if sin has become natural to a man, then it burns up the man himself as well. That fire will flare up inside a man: on seeing the Cross, some will rejoice, while others will fall into despair, confusion, terror. In this way, men will immediately be separated. In the Gospel narrative, some stand to the right of the Judge, some to the left — their inner consciousness separated them. The very state of a man’s soul casts him to one side or the other, to the right or to the left. 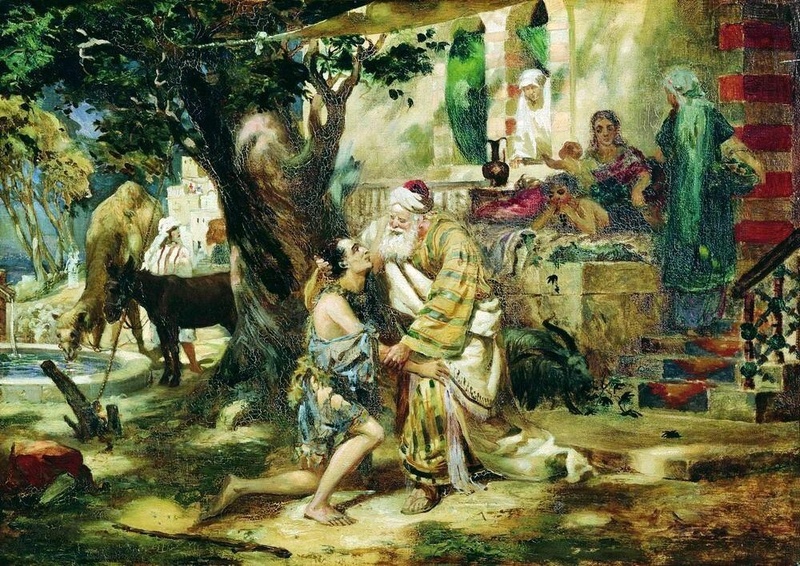 The more consciously and persistently a man strives toward God in his life, the greater will be his joy when he hears the words: “Come unto Me, ye blessed”; and conversely, those same words will call forth the fire of horror and torment on those who did not want Him, who fled or fought or blasphemed Him during their life. The Dread Judgment knows no witnesses or charge-sheets. Everything is recorded in men’s souls, and these records, these “books” are open. Everything becomes clear to all and to oneself, and the state of a man’s soul assigns him to the right or to the left. Some go to joy, others to horror. When the “books” are open, it will become clear to all that the roots of all vices are in man’s soul. Here is a drunkard, a fornicator; some may think that when the body dies the sin dies as well. No; the inclination was in the soul, and to the soul the sin was sweet. And if [the soul] has not repented of that sin and has not become free of it, it will come to the Dread Judgment with the same desire for the sweetness of sin and will never satisfy its desire. In it will be the suffering of hatred and malice. This is the state of hell. 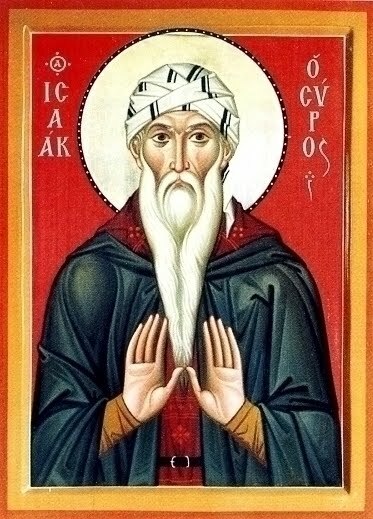 St. Isaac the Syrian ca. 7th cent.